Twelve patients had to be admitted for grievous injuries. The youngest was a two-year-old girl who was injured by a ground chakkar. HYDERABAD: Amit, 15, from Karimnagar sat clutching his bleeding eye, crying in pain and urging the driver to drive faster to Sarojini Devi Eye Hospital in the city. He was injured by a rocket bomb. It took six hours for the vehicle to get to the hospital as people were bursting crackers on the road. “People refuse to give way if it is not an ambulance, but my son was suffering inside the vehicle. The doctors say that his eyesight can be restored,” said Amit’s mother. Diwali celebrations have left 50 persons partially or fully blinded in the last few days. Doctors at the hospital said all injuries they had treated from Thursday were cracker-related. Hospital authorities are expecting more patients from rural areas. 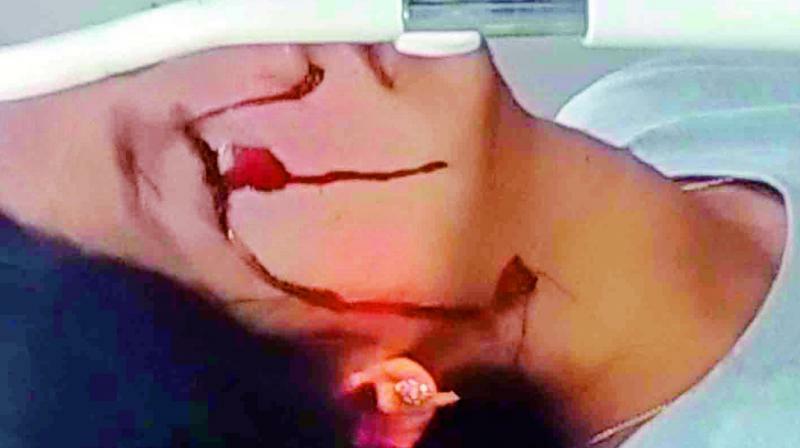 “They come the day after Diwali so cracker related injuries continue for two days after the celebrations,” said Dr Goud. Ms Sapna, 18, a student from Guru Nanak Engineering College, Ibrahim-patnam, was grievously injured in one eye from a rocket bomb during Diwali celebrations held at college hostel. Most of the victims of Diwali ‘festivities’ are children who mostly suffer from burns and eye injuries caused by firecrackers. Parents need to be very vigilant when their children light crackers and must ensure young children are not given anything but sparklers. “Even sparklers can cause harm to children. Most parents just give crackers to children and engage in some other work, which causes injuries. Giving children powerful crackers and not watching over them is dangerous. 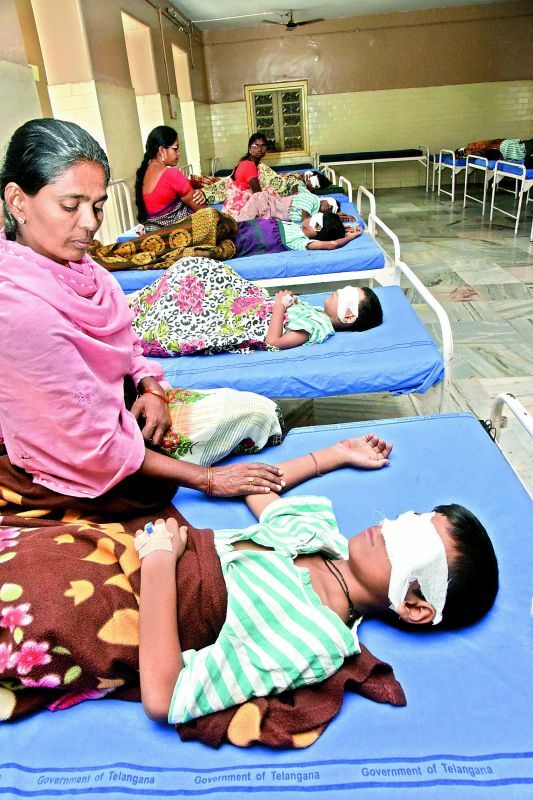 Children are innately curious and might not move away after lighting a cracker, but will continue to watch it light up,” says Dr Ravinder Goud, superintendent of the Sarojini Devi Eye Hospital, which treated many patients with eye injuries.